A new high-rye whiskey has joined the Bulleit family! Available for a limited-time only, Bulleit Rye 12-Year-Old Straight American Whiskey is a premium aged elevation of the brand’s multi award-winning Bulleit Rye. Eight years, and multiple San Francisco World Spirts Competition Double Gold medals later for Bulleit Rye, the category that Bulleit helped build is booming as consumers seek new, unique and premium offerings. 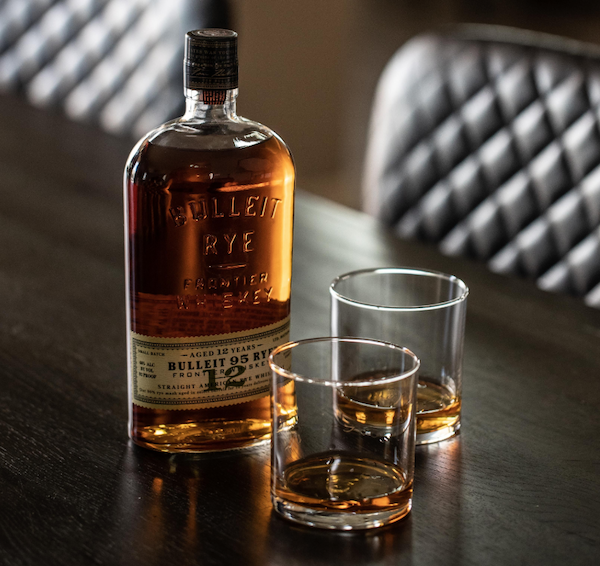 Created in response to this growing demand for premium American whiskey, Bulleit Rye 12-Year-Old Straight American Whiskey uses the same mash bill as Bulleit Rye – 95% rye and 5% malted barley – with a minimum of 12 years of aging. The additional years of maturity are evident in the layers of flavor complexity, while continuing to ring true to the smooth balance and spiciness of its predecessor. Bulleit Rye 12-Year-Old is available in select markets nationwide. Print article This entry was posted by Art Eddy III on March 28, 2019 at 4:32 am, and is filed under Lifestyle. Follow any responses to this post through RSS 2.0. Both comments and pings are currently closed.